CLICK HERE for 2003 Indy Pace Car Info! 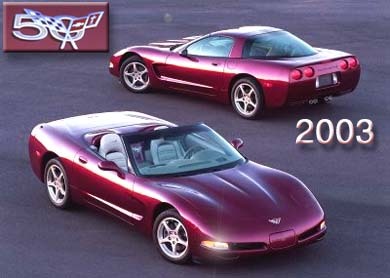 During 2003 only, all Corvettes feature a special 50th anniversary emblem on the front and rear. The emblem is silver and features the number “50” with the signature cross-flag design.